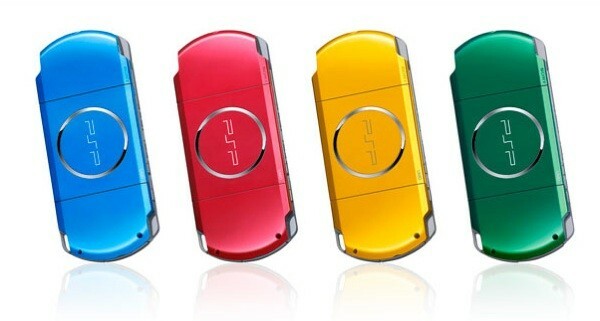 Available in Vibrant blue, radiant red, bright yellow and spirited green, Sony has released four new versions of “Carnival Colors” PSP. These four striking PSPs are identical to the existing PSP-3000 in terms of feature, function and external look. Sony Japan has set the ‘on sale’ date in Japan starting from March 5th 2009. The existing PSP-3000 with a 2,200mAh battery is priced at $223. This dazzling color version which comes with additional 4GB Memory Stick PRO Duo memory card, PSP pouch, and wrist strap will only retail for $279. For the fashion conscious who dare to be different, the Carnival Colors PSP-3000 allow them to make a bold statement that they celebrate life with passion and color!